Tony Phalen November 27, 2018 Eat. Sleep. RC. 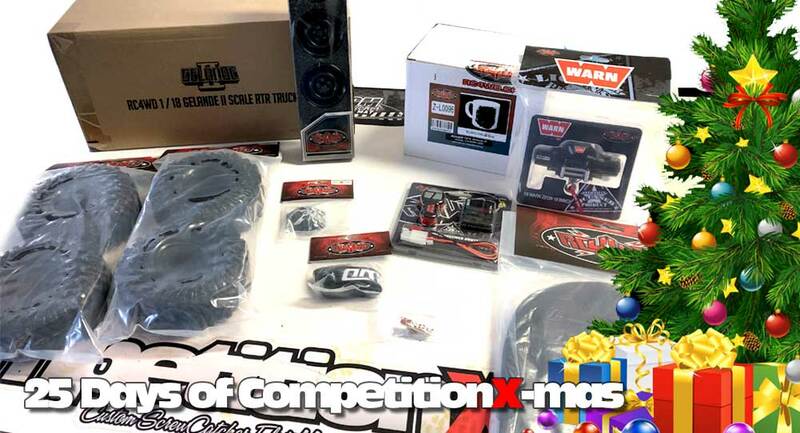 We’d like to welcome RC4WD back to the 25 Days of CompetitionX-mas! This year RC4WD has donated a nice selection of prizes ranging from a winch setup to tires to wheels – even a 1:18 scale Gelande II RTR kit! The Gelande II features RC4WD’s D90 Body set and comes ready to go scalin’ on your small-terrain course. 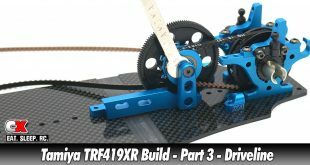 It comes fully assembled with realistic ladder-frame chassis, mini R5 V2 transmission, cast front and rear axles and rolls along on a set of stamped steel 1.0″ beadlock wheels wrapped in 1.0″ Dirt Grabber tires. It’s the ultimate tiny-scale crawler! 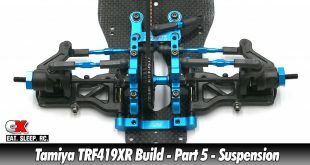 Check out the other goodies below that RC4WD has donated as well! If you haven’t signed up for the 25 Days of CompetitionX-mas yet, make sure you head over to www.eatsleeprc.com to fill out the form for a chance to win. 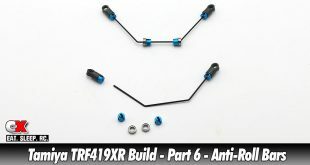 Check out more cool products from RC4WD. Make sure you visit and subscribe to our YouTube Channel (CompetitionX YouTube) for up to date videos on all the current products! Notice: Some of our articles, videos and descriptions may contain affiliate links, which means that if you click on one of the product links, we may receive a small commission. This helps support the website and social media channels and allows us to continue to produce content. Thank you for the support! Need some advice on what to do with that old RC sitting in the closet? Then check out the CompetitionX Hop Up Corner where we recommend and revitalize that old clunker into something fresh and far out! Stay in Touch. Win Prizes. How did you hear about CompetitionX? CompetitionX is the web's leading source for RC information. 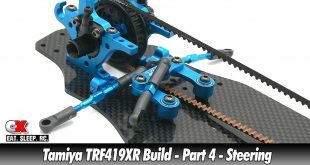 Since 2001, CompetitionX has been providing the RC community with tons of tuning tips, tricks, how-to's and online articles on all the latest and greatest RC vehicles. We also maintain the largest database of new and vintage RC Manuals on the web!